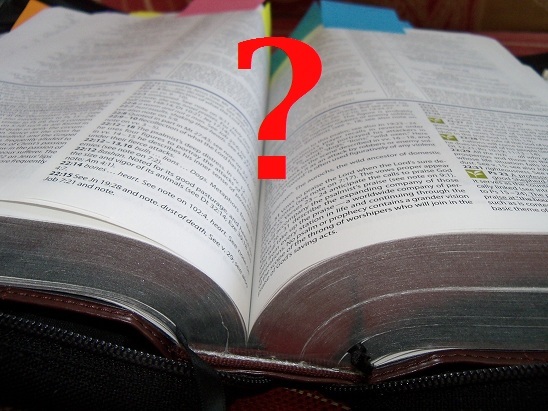 Question of the Week: Favorite Bible Book | J.W. Wartick -"Always Have a Reason"
What’s your favorite book of the Bible? Bonus: Tell me why it’s your favorite. Be sure to read the comments, as you might find a reason to read a book you don’t read frequently! « Really Recommended Posts 8/29/14- Eschatology, Creationism, Morality, and more! Habakkuk has long been dear to my heart. I love the way it handles suffering, injustice, and world events by juxtaposing God’s sovereignty onto our own human uncertainty. Very down to earth, and the conclusive poem at the end is remarkable. It may be slightly stereotypical, but Philippians would have to be mine. A beautiful picture of Christian maturity, with so much content packed into such a relatively small book. I also love Hosea for the picture of God’s love that it paints and Deuteronomy for what it says about God’s character. II like the Gospel of John. The purpose John had for writing the Gospel of John is mentioned in John 20:30-31 just in case the reader missed it. “Now Jesus did many other signs in the presence of His disciples which are not written in this book; but these are written so that you may believe that Jesus is the Christ, the Son of God, and that by believing you may have life in His name.” In Chinese there are three words for life: (1) “sheng ming” = that which separates a dead person from one who is alive. (2) “sheng hwo” = the ‘good life’ with husband and wife, a boy and girl, nice home, three stall garage with two cars, a boat, etc One might say, “That’s the life!” (3) “yung sheng” = ‘eternal life.’ Now if you were translating that verse into Chinese Mandarin which “life” would you use that you think conveys the truth and meaning of the original “life”? Sheng ming, sheng hwo or yung sheng? The Chinese union Bible has used the word “sheng ming.” However, I think all three words should be used. Why? A Christian missionary nurse in Chiayi, Taiwan, put her mouth over an unresponsive newborn baby, breathed puffs of air into the baby’s lungs thus intibating it and bringing the baby to life. The baby had “sheng ming” because Jesus was there in the Christian nurse to bring “sheng ming” to the baby. Second: The nations that have been influenced by Christianity have brought about a better life (sheng hwo) because of hospitals, educational institutions, honesty, justice, etc. Third: Because of God’s promises in a redeeming and risen LORD Jesus we believers have eternal life (yung sheng) in His name. Believing we have all three – “LIFE” in His name. Whoopee! Praise the LORD! Book of Jonah…for all the literary devices in there! Aw, man. Ecclesiastes is fantastic: particularly as a way to get my nonbelieving friends to read the Bible. 😉 Timeless philosophy for the win.